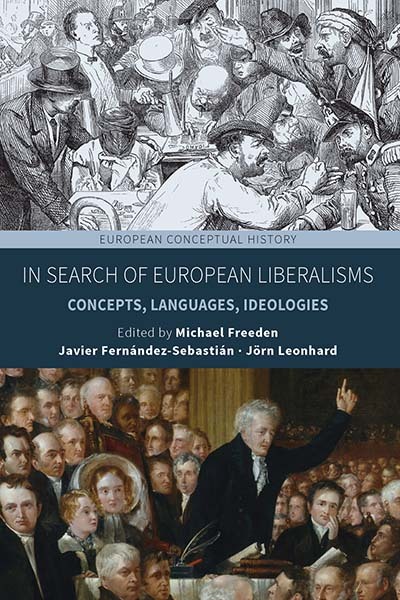 Since the Enlightenment, liberalism as a concept has been foundational for European identity and politics, even as it has been increasingly interrogated and contested. This comprehensive study takes a fresh look at the diverse understandings and interpretations of the idea of liberalism in Europe, encompassing not just the familiar movements, doctrines, and political parties that fall under the heading of “liberal” but also the intertwined historical currents of thought behind them. Here we find not an abstract, universalized liberalism, but a complex and overlapping configuration of liberalisms tied to diverse linguistic, temporal, and political contexts. Michael Freeden is Emeritus Professor of Politics at the University of Oxford and a Fellow of the Academy of Social Sciences. His books explore modern liberal thought, the structure and history of modern ideologies, and the nature of political thinking. Javier Fernández-Sebastián is Professor of History of Political Thought at the University of the Basque Country. He has published extensively on modern Spanish intellectual history and currently coordinates an on-going project on Iberian Atlantic conceptual transnational history. Jörn Leonhard is Full Professor in Modern European History at Freiburg University. From 2007 to 2012 he was one of the Founding Directors of the School of History of the Freiburg Institute for Advanced Studies (FRIAS). In 2015, he was elected member of the Heidelberg Academy of Sciences.